So the hedge of catus blossoms didn’t bloom for me but Maile had some in her dad’s apartment that had opened. 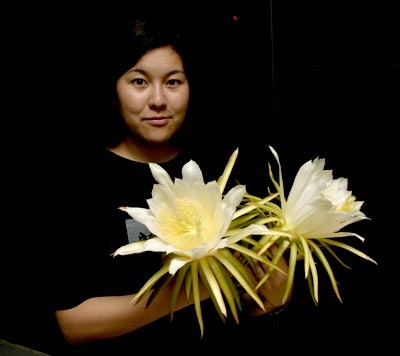 These flowers only bloom once during a midsummer’s night only to die in the morning. You gotta catch ’em when you can. Next PostNext Peter Pan or Skippy?